Victoria is in the midst of a boom. In August 2018 it was announced that the Victorian economy is the strongest in the country and the primary reason is population growth. Since the 2016 census lots of data has been processed to show just how fast that growth is. 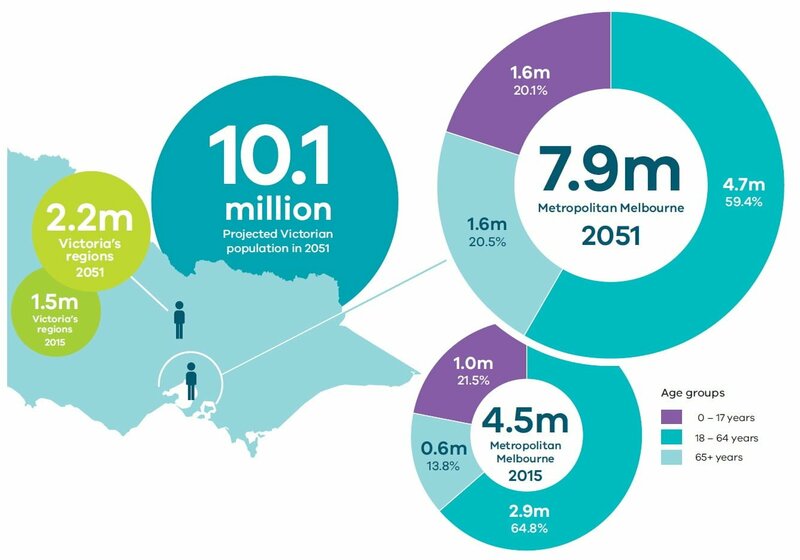 By 2050 Victoria as a whole is expected to top 10 million with Metropolitan Melbourne approaching 8 million people. And the growth won’t stop then. 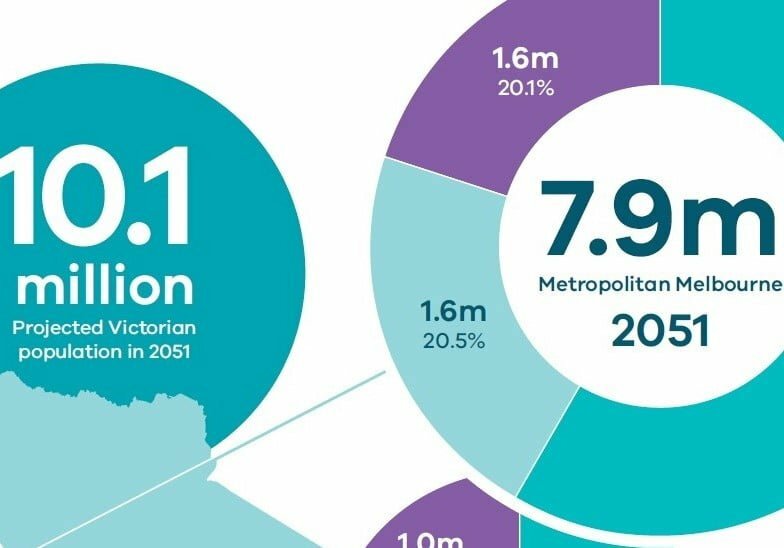 Victoria grew by 138’000 in 2018. These are exciting times to be involved in Christian ministry. Much of the growth is coming from new immigrants and many of these immigrants are looking for Bible believing churches to join. Many come from places where they are not free to explore the Christian faith and are eager to find opportunities to learn about Jesus. However, the story is not just about immigration, birth rates across Australia are also up over recent decades. While many parts of Australia are growing – six of the top 10 fastest growing places in the last 12 months are in Melbourne and three in Melbourne West as can be seen in the table below. Where are all of these people going to live? 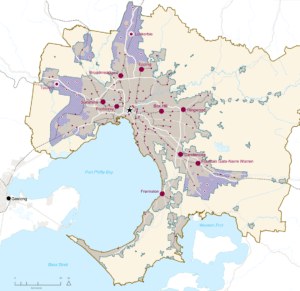 There are three key urban growth areas planned for Melbourne. North, South-East and the West will all grow rapidly as can be seen in the map below. However, it would be a mistake to think that that is the whole story. Much of the planned growth is in the middle and inner ring suburbs where traditional housing is being replaced by high density housing and so called ‘brownfields’ are being changed from industry to medium and high density housing. All of this highlights the urgency to be planting new churches in new areas. As the Church Planter Evangelist, I have been visiting Presbyteries to work together to identity the next places for churches to be planted. It has been easy to identify at least 5 places in each of the Presbyteries of Melbourne North, West and Flinders where we need to plant churches soon. It is clear that we need to plant new churches with land. It has become increasingly difficult to plant churches in schools, in fact two of our recent church plants meeting in public schools have been asked to move out in the last 12 months. Community halls provide short to medium term solutions however they leave churches vulnerable if relied upon for the long term. As a result of all of this the church planting committee has resolved to make some important changes in strategy. We will no longer seek to plant three new churches every year. Our new goal is to plant one new church each year with a block of land. Ideally, we will secure 1 hectare (2.5 acres) for each church plant so that there is sufficient land for parking and growth. This is a challenging strategy because land is not cheap, but it is important that we make wise plans for the future. It does mean we need to work together as a denomination to focus our resources in those areas that provide the greatest opportunities. Already we have bought land in Doreen and Bendigo and the Officer church plant is benefiting from the foresight of those who bought land there some years ago. The Presbytery of Melbourne West will be at the top of the list as there has not been land bought there for some time and it will clearly be the fastest growing part of Melbourne over future decades. Lord willing, we will secure one new block of land in each of the West, North and South East every three years. Not every new church plant will need a fresh block of land however. As our Presbyterian brothers and sisters in Sydney have discovered, sometimes the best way forward will be to temporarily close a parish for a period of months or years until a fresh team is ready to plant a new church with a fresh vision into an existing property. This is by far the most financially efficient way to plant new churches and revive a parish. It has also been found to be the best way to for care for the people in the parish. The Lord has presented us with exciting opportunities. If we are going to seize these opportunities, we will need to prayerfully take bold action. It will not be easy work. It will require faith and perseverance, but I believe the Lord will give us the strength. Please pray that the Lord will provide generous hearts to enable us to plant new churches with land so that these churches are not left vulnerable. Pray for the bold proclamation of the glorious gospel of Jesus Christ and his great mercy that many hearts would be transformed by his word.